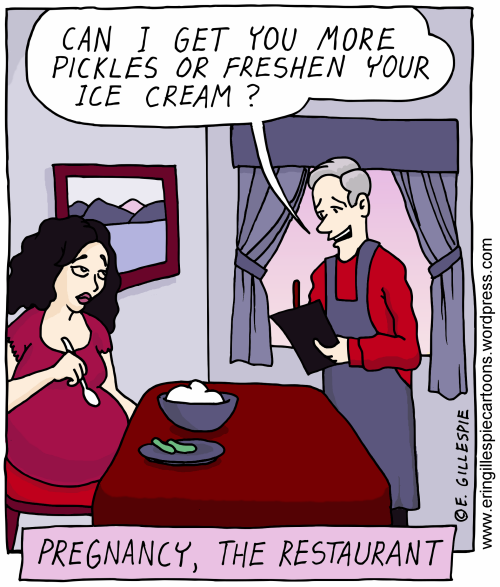 This entry was posted in Food, Parenting and tagged cartoon, cartoons, comic, comics, Food, ice cream, Pregnancy, restaurants, webcomic, Webcomics, Women. Bookmark the permalink. Very good Erin! My wife loved sour things during pregnancy, watermelon dipped in . .. vinegar yuck!